Hiking is a hit in Oregon but so is sleeping in a bed at a hotel where you can enjoy a nice dinner with a glass of beer or wine (also a hit in Oregon). So how can visitors and Oregonians get the best of both worlds? Expanding existing hiking trails to allow a 250-mile loop through the Columbia Gorge scenic area would allow light backpacking hikes through the gorge by day and exploring a town then sleeping comfortably by night. 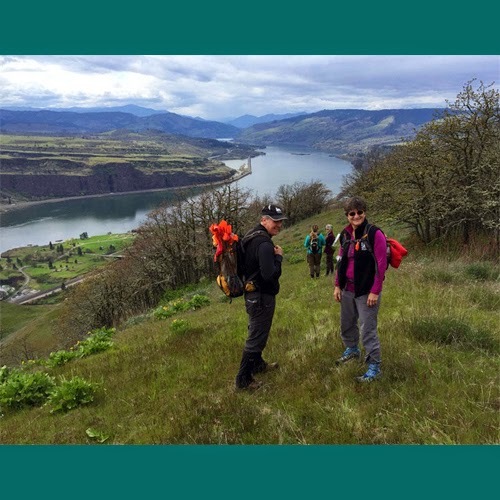 Hiking from town to town along the Columbia River Gorge provides access to beautiful scenery, wildlife and nature but the hiker would have the option to stay at a hotel, shower and explore the town, breweries, restaurants and more. Read more about this town to town trekking vision below. Tkach is in a position to do something to realize this vision. She's the Gorge Towns to Trails project manager at Friends of the Columbia Gorge. The nonprofit is leading the charge for a grand 250-mile loop trail through the scenic area. "These communities are in the midst of reinvigorating themselves through recreational tourism and tourism as a whole,” Tkach explained. When selling the trail vision to affected towns, Tkach said her audiences most latch on to the prospect of more tourism dollars. "Gorge Towns to Trails isn't just about recreation,” she said. “It's also about facilitating economic development in these towns that are surrounded by these public lands." Tkach said town-to-town rambles with potential pauses at vineyards and viewpoints could bring a taste of Europe to the Northwest.